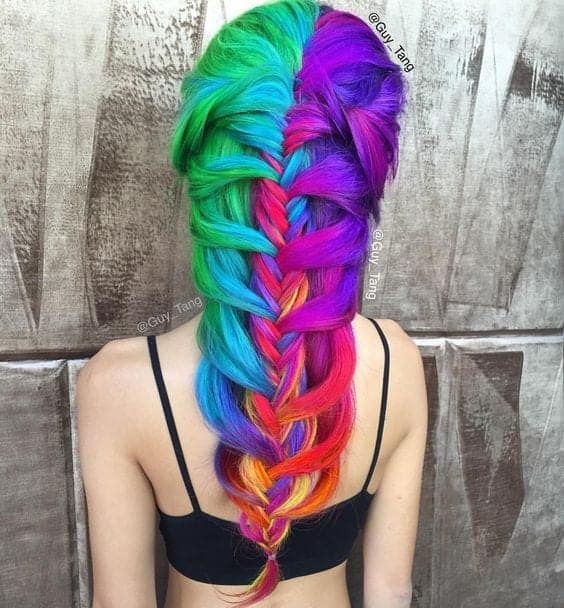 Rainbow hair color is a variation of many different colors mixed into your hair, just like a rainbow that you see when it rains. 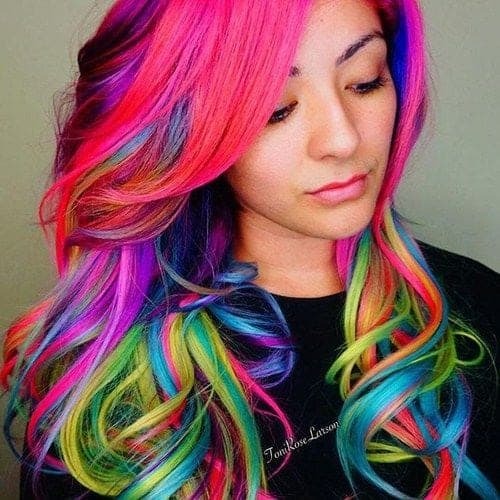 The color you see may vary, depending on the combination of colors used for coloring your hair. 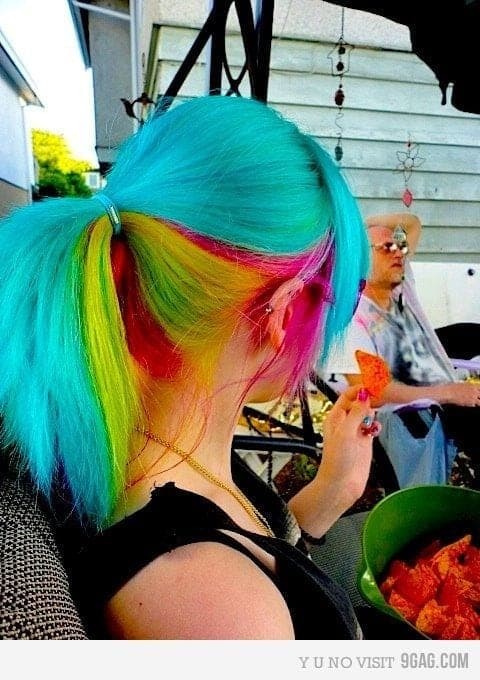 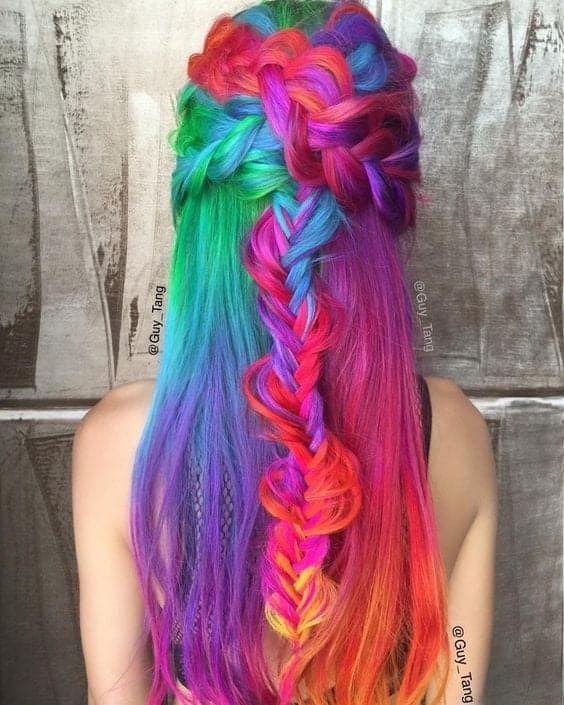 Rainbow colored hair has been tickling our colors fancy as of late. 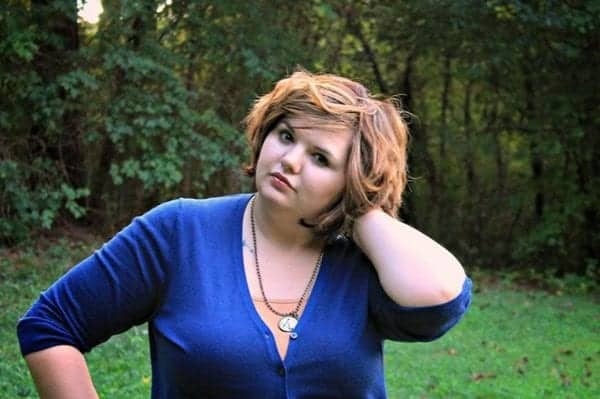 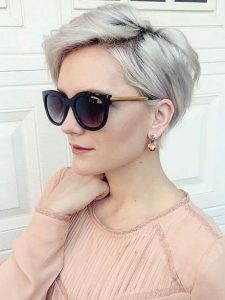 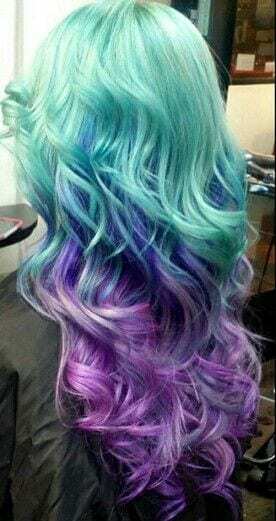 While unicorn and mermaid colored hues may look irresistible on social media, it is sadly a little hard to get that dramatic finish on brown hair in real life. 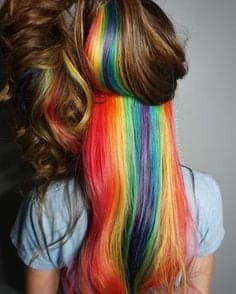 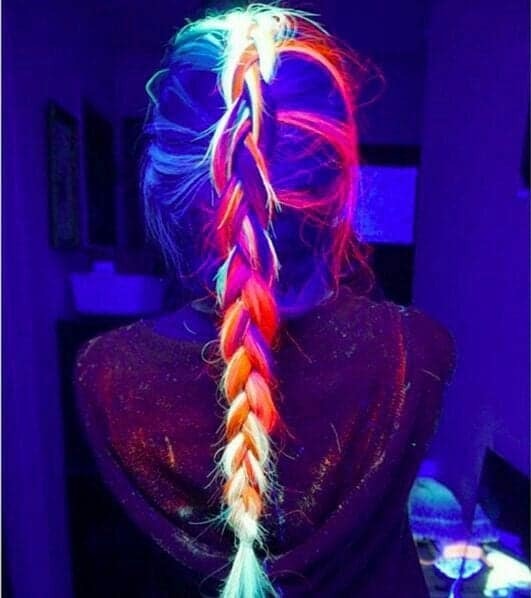 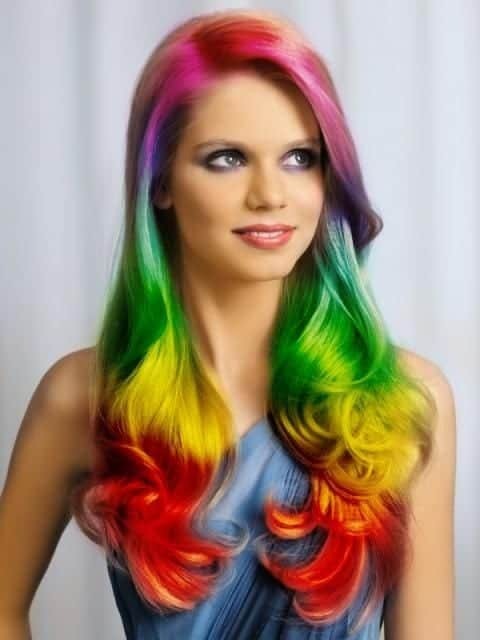 Achieving rainbow look on darker strands would need more work and patience just like all dramatic hair colors. 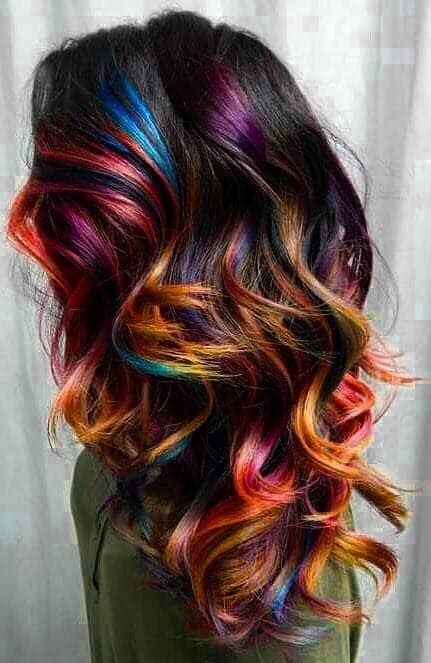 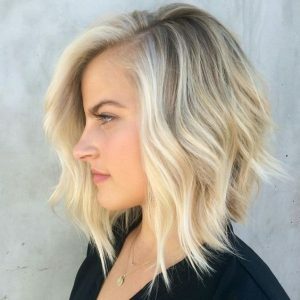 It’s not only does the whole dye job take extreme dedication but you’ll also want to consider upkeep and color fade. 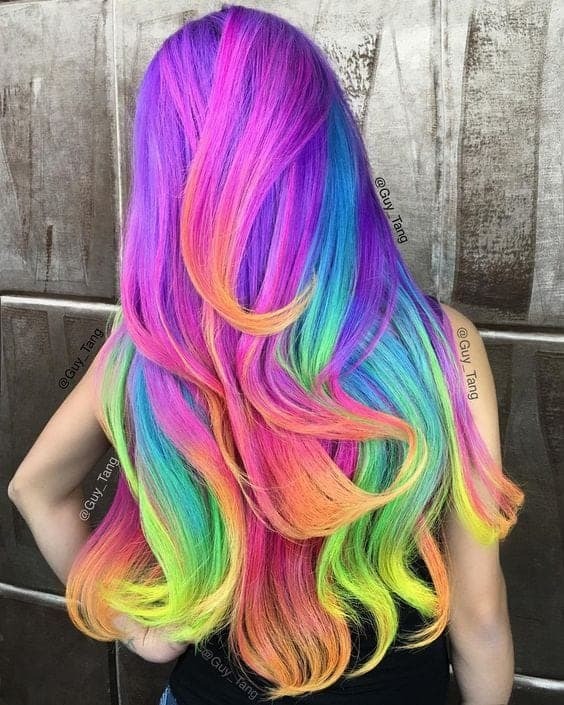 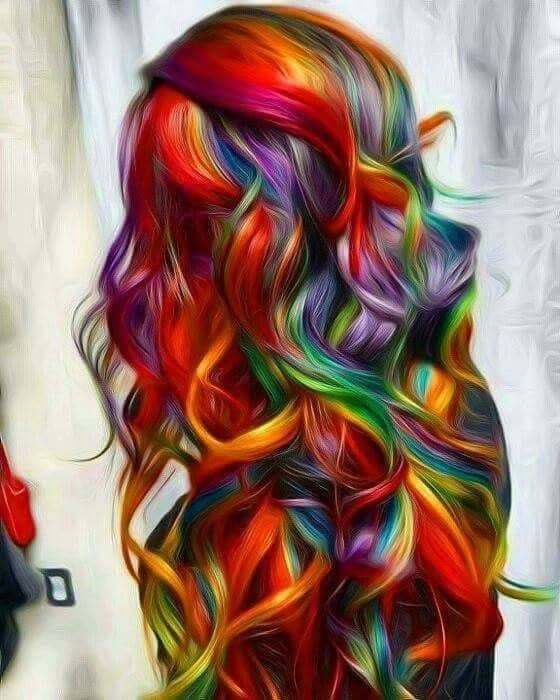 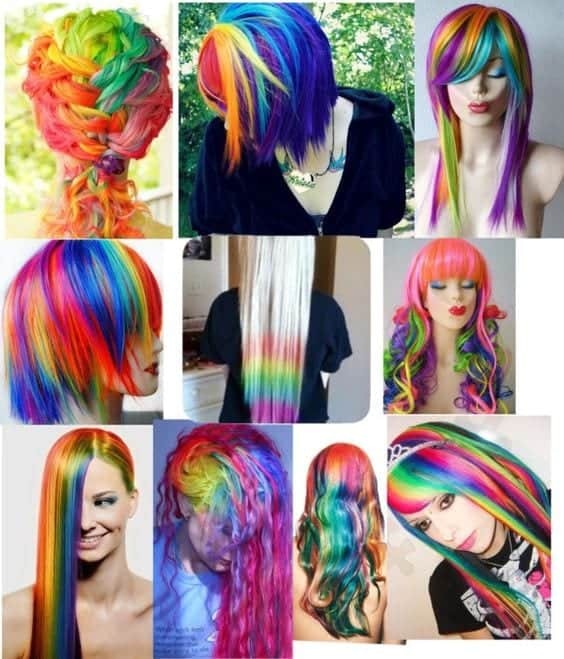 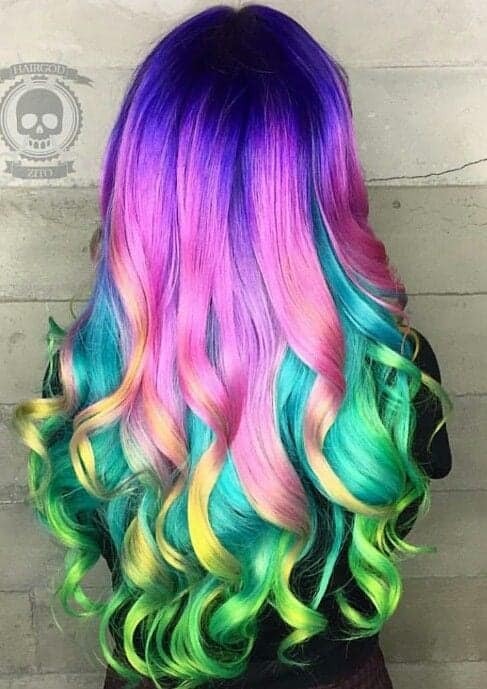 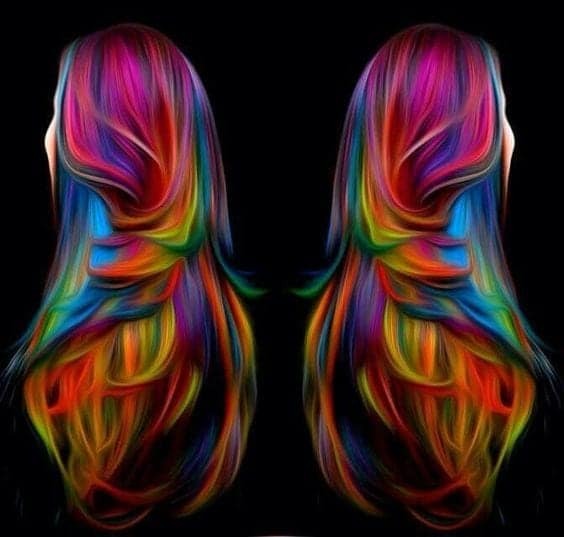 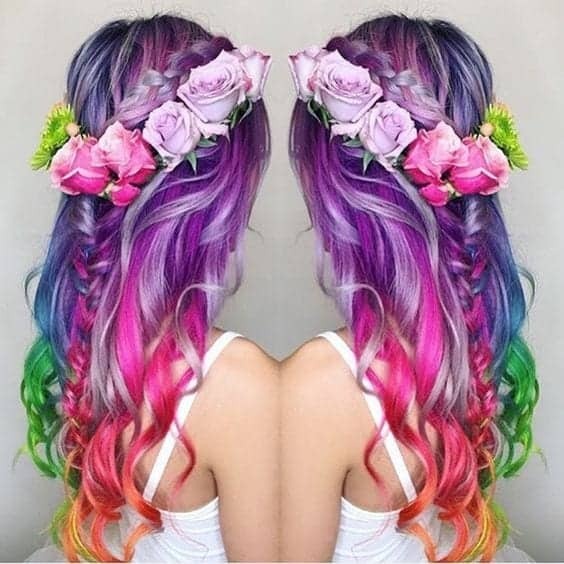 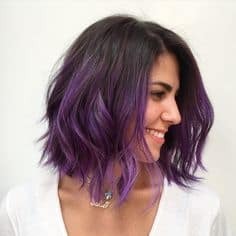 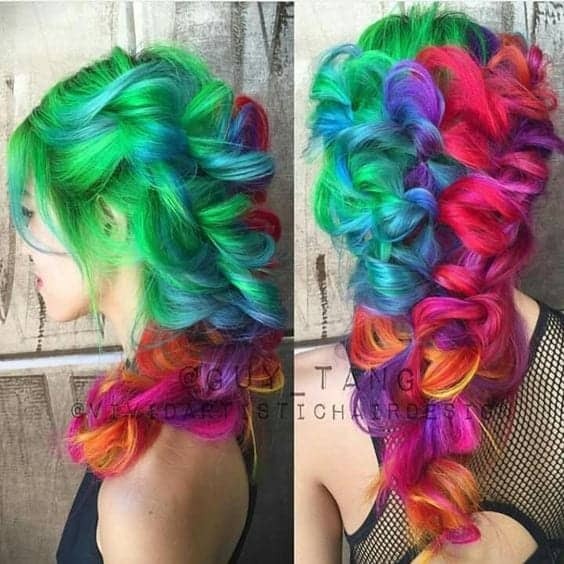 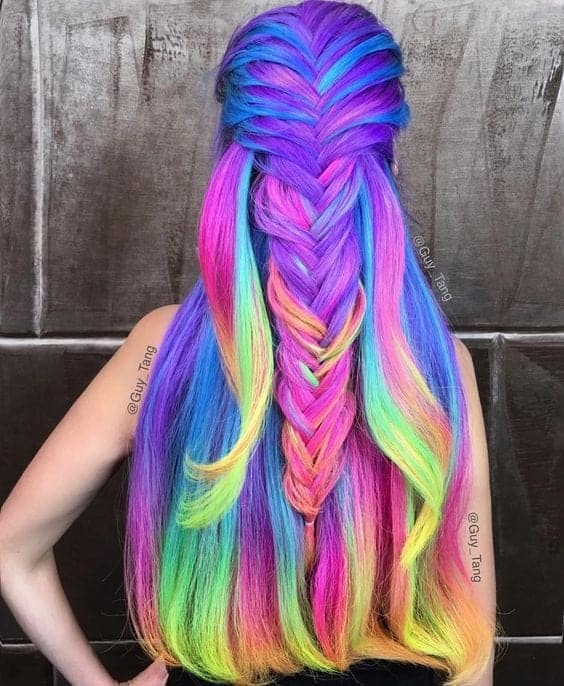 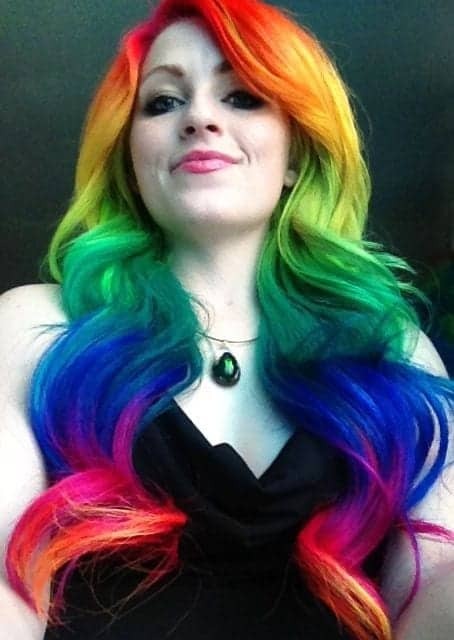 Before you start coloring your hair with rainbow hair color, here we have compiled 21 Fabulous Rainbow Hair Color Ideas for you to consider.